We now have handicapped 1,500 races in 2018. That’s a lot of numbers to crunch. Times to calculate. Horses to review and watch. And, analysis — both objective and subjective — to compute. Through it all, we have made some realizations, along with the calculations. And, we have managed to carve out a win percentage of over .37%. 1st: 5-7/8-2/4-1…I will focus on the top two numbers in this sequence, led by Town Classic (5). This 5YO gelded son of Speightstown comes into this one off a poor performance at Churchill Downs, where he was 7th and beaten 10 lengths. But that was against much better, and today the connections give this one a plunge to a career low level. Now, that means a fire sale, or a wake up. Nothing in-between, usually. I’m going with a wake up against the kind that he should dispel. Quickly. Gets a top rider in the irons, to boot. Trainer is super hot, as well, with a 4-1-0 record in 11 races going into Thursday’s card. Look out. Ironclad (7) is another one getting a class drop. He has not run since April, when he poured on an easy win here in the slop. That was the second win in a row for the year. Has been idle since, but has shown the ability to run well fresh before. And, the trainer hits with .17% when he drops them down two classes or more. Like the work on Oct. 4. Has a 2-1-0 record in 3 starts over this track. I bet the 5 to win/place/show and then box solidly with the 7 in the exacta. I will key the 5-7 over/under the 8-2 in a smaller version, and then key the 5-7 over the 4-1 in a lesser amount. 2nd: 10-12/5-3-8/7-11-6…Another one where I will focus my betting strategy on the top two numbers. This time I will go outside for both of the top choices, led by Rio Bueno (10). This 3YO gelded son of Smart Strike gets the call for a top barn who is currently struggling big time. Trainer is 1-2-1 in the first 12 starts here this meet, and that adds up to a win percentage of .08. That’s is about a fourth of what this barn is accustomed to and far below the norm. Rider is ice cold, too, and had a horrible trip in a race on Thursday, costing his steed all chance of a victory. They may wake up at any time, though, and this could be it. This one ran third on debut at Indy Grand, and has come back to work OK. Gets the blinkers for the first time today, and the barn hits with .19% of those. Time to jump start this barn. El Mas Puro (12) could make it a cold exacta for the “Spanish names” here. This one is dropping out of a MCL $50,000 event all the way to MCL $15,000. Ran a couple of nice seconds at Oaklawn in February and Saratoga in July. If he can find that run again? Watch out. I bet the 10 to win/place/show and then box the top 2 numbers in the exacta. I will key the 10-12 over/under the 5-3-8 in two more. 3rd: 3-5-9/10-2-11/1…I will stretch out a bit in this number, and will focus the betting strategy on the top 3. Betruetoyourschool (3) was horrible last time out, not beating a soul. But she bled in that one, according to the PPs, and if the connections think they have that issue resolved then she could return to form in this spot today — at some nice odds. The work on Oct. 4 suggests that she may be back to full operations, and this Illinois-bred has done well in open company before. Has 5 wins in 16 starts at this distance. Gales of November (5) has won three in a row and will inch up the price tag ladder today. Trainer has had a solid year, with .21% winners. Likes to be either on or close to the lead. Good break is essential here. American Alphabet (9) is another longer shot that I think could jump start the tote board today. This one is 12-1 ML odds, but has won two in a row at Ellis Park and had a nice third before those victories. Trainer is very suspect, but this horse looks to be good right now. Training well at Ellis. I bet the 3 to win/place/show and then box the top 3 numbers in the exacta. Tread lightly in this spot. 4th: 2-1/4-3-8-10/5-6-9…I will hone in on the top two numbers here, led by Wheedle (2). This 2YO daughter of Flatter ran super well on debut at Saratoga on Aug. 26. Trainer normally doesn’t hit on debut, but scores with .29% of them on the second outing. This one has trained well here since the race up North, and picks up a solid rider — even though he is cold and can fire a strategy hiccup from time to time. Istan Council (1) is another who ran really well on debut. Fired to the front late in the debut race, but tired late. Has come back to train very well since that inaugural run, and the trainer hits with .21% of those in the MSW ranks. One to beat. I bet the 2-1 across the board and then box those two solidly in the exacta. I will key the 2-1 over/under the 4-3-8-10 in two softer versions. 5th: 3-5/2-1-9-7/6-10…This is a really nice grass event, and I will side with Utmost (3). This one only beat a single horse in the G1 Northern Dancer at Woodbine in the last out. But the 4YO Giant’s Causeway colt gets to shorten up and drop down into the allowance ranks today. Both should assist this one’s recovery. Two back, this one won a G2 event at Woodbine. Was stalking and pushing the pace in both of the first two starts in NA. The last one, he didn’t run at all. Throw out for me. Return to normal today. And, if so? Tough out. Krampus (5) is consistent, and good. Should be stalking the perfect pace scenario and have first shot heading for home. Has a win over “good” ground, too, and the sod in Lex may be a bit softer than summer norm. I bet the top two numbers across the board and then box those two solidly in the exacta. I key the top two numbers over (only) the 2-1-9-7 in a milder version. 6th: 8-1-3/6-10-9-7-5…A nice MSW event for the 2YO fillies going 6 furlongs here, and I will zoom in on the top 3 numbers mentioned here. Workaholic (8) has run two super good races in a row for a trainer not known for winning many races. Rider? In any other barn, or with any other jockey? Solid. But these two have combined to go 0-for-11 and I don’t know why they should expect anything different that another tough loss here. So…Take note…I go to the next two to focus on the win money. Vegan Goes Best (1) is a first time starter for a barn that hits with .18% of those. But the trainer also scores with .21% of those in the MSW ranks. Draws the rail, which can be a tough spot for a debut runner. But so far this meet, the rail has been golden — winning at a .22% rate. Love the works for this one in the a.m. Live on debut. Stolen Beauty (3) goes for a top young trainer, and look at that work on Oct. 3. Are you kidding me? A half mile in :46 flat? Wow. Trainer hits with .09% on debut, but this one is likely to go fast and furious with a clean break. If she gets away from there on top, she may be tough to catch. I bet the 1-3 across the board and then box the top 3 numbers in the exacta. 7th: 1/6-7-10/4-11-8…My first “key race” of the day, and my first Best Bet of the Day, as well. Parlor (1) has had three rough and tumble starts in a row. Gets a new rider today, and the jock just so happens to be Jose Ortiz. If this deep closer can find a way clear in the late going for a change, he should be dynamite in this field. He has been facing so much tougher than the ones he draws today. I load up here. Master Merion (6) and Mr Cub (7) both rate a chance. The former has a second in one start here and two thirds in three starts at this distance. Since coming back from Ascot, he has only one race under his girth. Should benefit from the last out. The latter really loves this sod. In two previous starts here, he has two wins. That’s 100% win rate for a top barn and a clever rider. If he gets back to where he was in the summer, look out at some nice odds. I bet the 1 to win/place/show and then box the top 3 in one exacta. I hit the 1-7 in a nice box again, and then key the 1-7 over/under the 6-10-4-11-8. 8th: 2-3-6/8-5-4-7…A nice, two-turn allowance race here, and I will zero in on the top 3 numbers for my wagering preferences here. Own Agenda (2) goes for a barn that normally doesn’t do all that well in KY; most of the good ones are in NY. But this one comes out of a race where the winner of the last out has already come back to win. the MSW win for this one came over a horse that came right back to win, as well. And, the second place finish here back in April was against a good one, too. I like the company this one has been keeping, and the works look good for the second try off a layup. Pony Up (3) will be getting his first start for a new trainer and first afternoon exercise since he was 8th in an allowance race at Saratoga. Gets back to the dirt today, and that is where this one belongs. Ran super third to My Boy Jack in the G3 Lexington here in the Spring. That race would be good enough to beat this crowd. Hollywood Star (6) is returning to the races for the first time since he ran at Saratoga in August. He was super as a 2YO, running second in the G2 Saratoga Special and the G3 Iroquois. Those races earned him a trip to the Breeders’ Cup Juvenile at Del Mar last November. This year has been a struggle, but the works have improved and this one could pop again. I bet the 3-6 across the board (Take Note) and then box there top 3 numbers in the exacta. 9th: 12-9-6-7-3/2-11-13/1-4-10…G3 Buffalo Trace Franklin County…A wide, wide open affair in this one. The top 5 are all well-matched in this one, it seems. But that gives us a chance to land a nice price in here, too. Ruby Notion (12) has a tough post from the outside, but she has a nice stalking speed that could put her in the race early enough. She is 3-0-3 in 10 starts at this distance, and is coming off two wins in a row, and a third where she was beaten a neck for all it. Good right now. Chanteline (9) will get the saddle from Steve Asmussen, and she, too, is coming into this one off a win. This 6YO mare has two wins in the last three races and a second sandwiched in-between. Has a 3-1-0 record in 6 starts at this specialty distance, and will be trying to close from a stalking position, as well. Morticia (6) has a 1-1-1 record in three starts here, and won this race a year ago, pushing the pace. She has a 1-2-2 record in 6 starts this year, and could be tough in this spot if she can get away clean and run on or near the lead without blowing a gasket to do so. Girls Know Best (7) has three wins and a second in the last 5 starts. Beat our top choice three starts back at Churchill Downs. Has pure, get-it-on speed. I bet the 12 to win/place/show and then box the top 3 numbers in the exacta. I key the 12 over/under the 9-6-7-3 in two more versions. 10th: 11-10-4/5-3-1-7…I will go to the far outside to launch an attack in today’s finale. Because It’s Time (11) has not raced since 4th here in April. Has raced only twice this year. But this 4YO gelding is dropping to a career low price tag for this event and if he has anything left at all, he should be really tough in this spot. 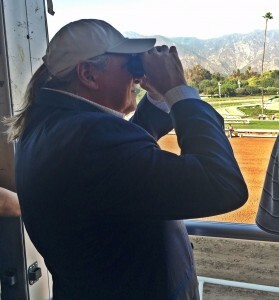 The blinkers come off, as well, and the trainer hits with .11% of those losing the shades. Works in the a.m. nothing to write home about, but he sure figures against this bunch. Istillgotit (10) came from off the bench to win at Churchill Downs in the last start. Ran off with that one as the favorite. Now, this one gets the bump up in class. Trainer does well with a claimer repeater, winning at a 30% rate in 74 battles. Top rider stays up, and this one seems to have the necessary speed to carve out a good trip. The one to beat. Turner Time (4) is another dropping way down the class order. Drops to a career low price tag, as well, for a trainer that hits with .31% of those getting this type of plunge. Works since the last race indicate that he is OK and should be ready to fire against these types. I bet the 10-4 to win/place/show and then box the top 3 numbers in the exacta.